Violeta Salcedo began life during the days of the infamous Pancho Villa. She was born on October 4, 1909 in Mexico to Alejo Abascal and Yamila Villalobos. According to Violeta, her great grandparents were Spaniards who controlled much of what is now Mexico. Her immediate grandparents were thus landowners, as well as tailors, who controlled the government, the school, the shops, the church, and put on all of the town’s holiday celebrations. They had beautiful adobe homes with orchards of fruit trees, and they lived a very privileged existence. Unfortunately, however, Violeta’s childhood was a time of chaos in Mexico, as Pancho Villa and his band of revolutionaries often raided the villages in the north of Mexico where Violeta’s family lived. Even though she was a very little girl, Violeta remembers hearing the warning crys that would ring out whenever Pancho Villa was sited on the outskirts of the village. Then the men of the village to go out to fight him, while the women and children hid in secret hiding places covered by wallpaper in the walls of the houses. Violeta says that she witnessed much violence and atrocities committed by Pancho and his men, including the hanging of two of her cousins. The worst incident involved the owner of an inn where Violeta’s family happened to be hiding. Pancho Villa took the innkeeper, hung him by his feet and shot him in the head, then called dogs over to eat his brains. Violeta says it is an image that will haunt her all her days. As it turns out, Pancho Villa wasn’t the only threat to her family. Violeta’s father, Alejo, was an even worse enemy. According to Violeta, Alejo was the black sheep of his family, who were the “well-to-do” landowners and governors of the town. Apparently, Alejo’s father, Miguel, had dreams of him going to college and then to law school, but the rebellious Alejo ran away to the United States when just a teenager, where he lived a nomadic life working odd jobs for several years. When he returned to Mexico, he married Yamila Hernandez, who was from a relatively poor family, and had nine children with her. Bitterly disappointed with his only son, Miguel refused to give Alejo a position in any of his businesses or give him any land, so Alejo was forced to do factory work, though he found it difficult to maintain a job at all. He began to drink more and more and smoked marijuana constantly. His already fiery temper grew worse, and he began to beat Yamila and all of the children, even Violeta, who was the youngest. Apparently, once when she was just nine-months old, he beat her into unconsciousness when she wouldn’t stop crying. His rage grew so much that he actually murdered a man—his own brother-in-law, Ernesto. Apparently, when Miguel began to favor and treat Ernesto as a son, Alejo confronted him and killed him in front of his wife, who was Alejo’s sister. Banished after that by his father and the other townsfolk, Alejo and Yamila and all nine children began a nomadic life throughout Mexico and “the Spanish lands,” where they went from town to town looking for work. Alejo was unable to provide for all of them on just his intermittent wages, so Yamila was forced to seek work as well and would leave the children in charge of their oldest daughter, Isabel, whom the other children called “second mother.” Apparently, Isabel, was as cruel and abusive as Alejo, however, and Violeta’s life under Isabel’s rule was almost worse than before. She still cries when she remembers how cruel Isabel was to them. She would cut switches from the lemon trees and beat them until they bled for even the smallest infraction. This went on until Violeta was almost ten years old, at which point Alejo decided to drag them all to Chicago, where he heard there was a lot of work and where some distant relatives were already living. Violeta barely went to school and was forced instead to work in factories to help make ends meet, as were all of her siblings. Life continued this way until Viloeta began to blossom into a beautiful young woman. It was then that Alejo would look at her approvingly and comment that she reminded him of how Yamila used to be when they first met, young and beautiful, not old and broken down as she now was. This made Yamila terribly jealous, and she began to resent Violeta and to treat her badly. Violetta was apparently the cause of many fights between Alejo and Yamila, the result being that Alejo again began to beat Violeta as result. Desperate to get away from this situation, Violeta took up the offer of a co-worker, Cesar Salcedo, with whom she had one time shared her plight. Cesar urged her to move in with him. Violeta says she knew what that meant and agreed to live with him if he promised that they would some day get married. So it was that Violeta was able to escape her family, and she stayed with Cesar for five years. As time passed by, however, she wasn’t sure she really wanted to marry him after all, and was considering moving out when he surprised her. She recalls being late for work one morning, and Cesar offered to drive her to save time. Instead of driving her to work, however, he drove her to city hall where he expected her to marry him, then and there. Violeta was stunned and wasn’t sure what to do. She did not want to make a scene, however, or “humiliate him in public” since he had been “nice enough to ask me,” and therefore went through with the marriage. Violeta informed him, however, that she would not endure any beatings, which Cesar agreed to, at least initially. Only once did he raise his hand to her, but Violeta, angered, slapped him first. He never tried again. 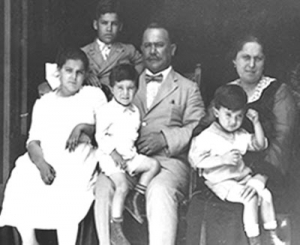 As a husband, Violeta says Cesar was “okay,” and together they had four children: Donna, Julia, Albert and Enrique. Tragically, both Julia and Albert died young of cancer. Cesar, too, died in 1954, leaving Mercedes alone to raise the kids. She worked as a housekeeper in a nursing home for 16 years to support them. Once Donna and Enrique left home to get married, Violeta lived alone for several years before going to live with her brother, Ricardo, with whom she became very close. Violeta was apparently very happy living with Ricardo until her toe became infected several months ago. For weeks Violeta refused to see a doctor until Ricardo called Donna to intervene. Donna forced her mother to go to a doctor about her toe, which eventually had to be amputated. While recovering in the hospital, Violeta fell and broke her hip. From there, she was admitted to a nursing home, where she continues to be in a wheelchair. Since her fall, she is unwilling to do the proscribed physical therapy which will help her to walk again, though she says this is her goal, as she desperately wants to “go home,” and live with Ricardo again. Other then refusing therapy, Violeta is making a relatively smooth transition. She seems very accepting of her fate and is neither excited nor depressed by her admission. She does become distressed, however, when she hears other residents cry out, as she believes they are somehow being beaten or abused by the staff. When asked about her hobbies, she says that she used to enjoy dancing or gardening but only did “what other people allowed me to do.” Despite being a victim of violence all of her life, Violeta says she does not harbor any bitterness or anger. “I don’t let things bother me,” she says placidly, as if nothing bad has ever happened to her. How many others survived similar lives! and the romance in these historical novels. Thanks so much for reading Violeta’s story and for taking the time to comment, Cindy. 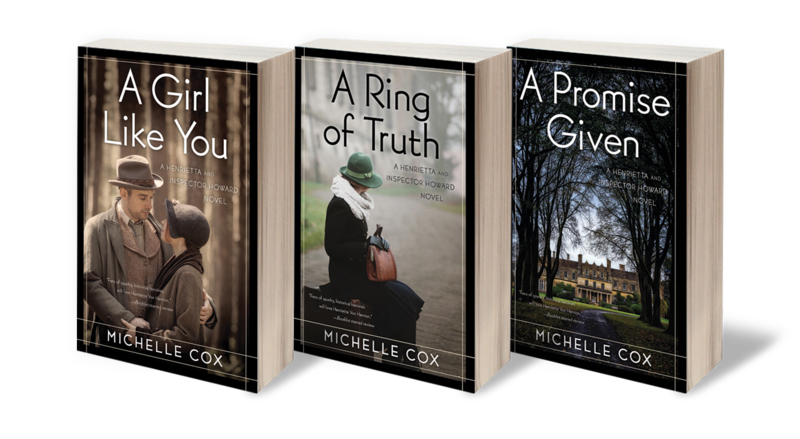 And thanks so much for your kind compliments regarding my series! Thrilled that you enjoy them! I found this one very difficult to read. At least she was close to her brother in her later years. Yes, wasn’t it a tough one, Mary? So much sadness, but at least she had someone at the end, as you said. Thanks for taking the time to read her story.